Feel free to browse around the trading resources on this website. I think that you will find them very revealing! If you would like a proper grounding in trading (which is essential), to understand price action, trade setups, strategies, money management, and for me to have a look at your trading plan with you, then do go ahead and take look at our Trading courses at Excellence Assured. I would be delighted to connect & help you further. You can contact me here to start things off. In 2012 I really dove deep into learning about the Technical Analysis (price chart analysis) side of short term trading in financial markets. I decided at that time that this aspect is key to success in short term trading. I decided to become an expert in this field. I began a modelling project (using my NLP skills) to learn how to trade as a professional trader. Statistics show that up to 90% of day traders fail, I wanted to start turning this percentage around. I love helping people create success (and have a strong sense of contribution to others). I want to do that by helping people learn to trade, helping traders become successful and make a good living from trading. find out what makes a consistently profitable, professional home based trader. implement the skills and techniques successfully myself. coach and train others (this is my true passion in life). Over three years I studied top professional traders. I coached them, I read their books, I took numerous trading training courses, I analysed chart after chart and I traded my own account as I learned. Trading became my fascination and my passion. Gradually I put together the pieces of the jigsaw that makes a professional trader as I learned the secrets of trading, the techniques and systems that top traders use to win consistently in the markets. From what I learned I created a formula for successful trading, an approach to trading that provides replicable results. I began to day trade professionally and make a living from day trading. I continued to develop and extend my expertise in the Technical Analysis approach to trading. In 2016 I was ready to share with the world what I learned so that you too can learn how to trade and take your slice of money from the worlds financial markets. 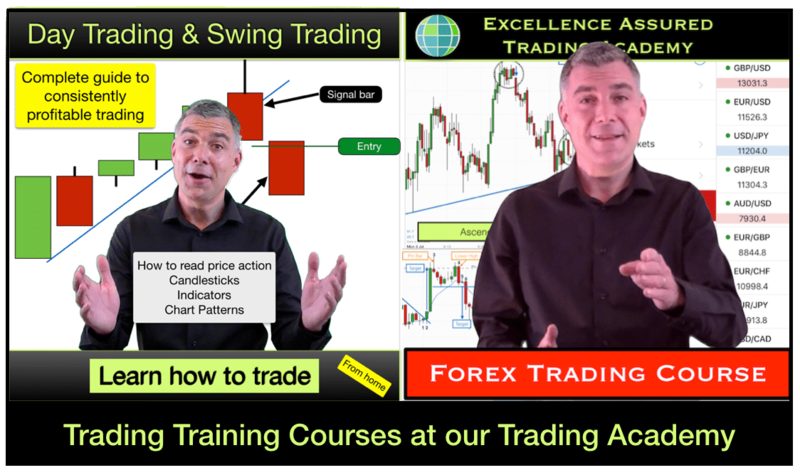 I created the Excellence Assured Trading Academy and our Day Trading & Swing Trading course and also our Forex Trading course. I have a love for coaching and training others. Helping you create your success story inspires and motivates me. I now coach and mentor traders of all levels. 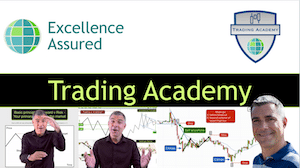 Inside the Excellence Assured Trading Academy our aim is to help you learn to trade and to develop into a consistently profitable trader. Trading is fascinating and a true challenge. 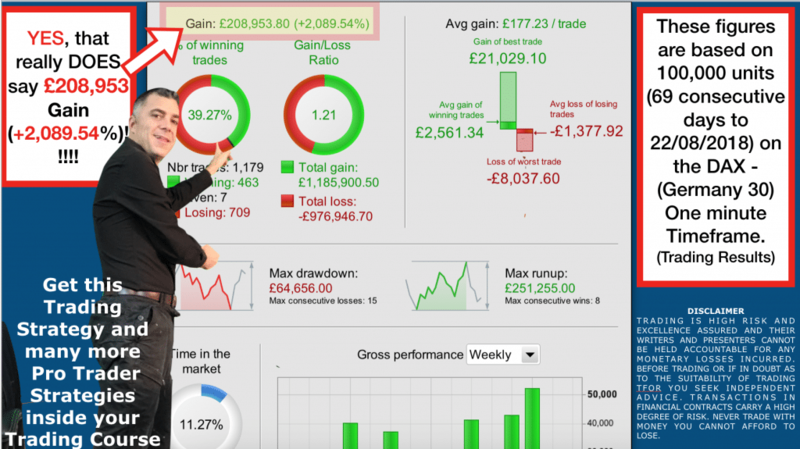 The rewards from learning to trade stocks & forex successfully are enormous and trading gives people the opportunity of financial freedom, it is a hugely popular past-time and highly sought after vocation. We have a series of resources that you can use to develop your knowledge and skills in the trading arena, and use to navigate around the potholes. 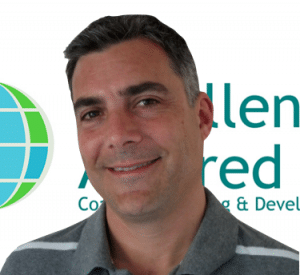 Learn trading systems and strategies from our academy director and coach, Anthony Beardsell to enable you to trade for a living as a home based and independent trader. 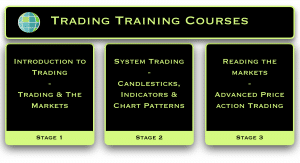 Take one of our Trading training courses and join our Trading Academy. Alternatively browse through 100s of pages of free trading resources on this website. This is video 1 in our Introduction to Trading series. Learn to Trade the markets from home. Become an independent home based trader and join the 21st century trading revolution. In this video our Head Trader, Anthony discusses the trading opportunities on the FTSE 100 index on the day that the UK left the Euro. Trading Brexit price action on the 5 minute chart. Interested in day trading Indices or Forex? Read our regular review of trading opportunities, chart patterns and market price formations on Forex and Indices. The trading techniques that we use are relevant to any market. We highlight possible entries, exits, targets and stop placements to help you learn to trade any market. 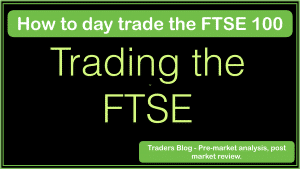 Trading Blog – How to day trade the FTSE 100. Over three months our master trader, Anthony compiled a blog of his experiences in trading the FTSE. Read how Anthony conducts his pre-market analysis, how to prepare for day trading and the types of trades that he took during this period. Learn how to day trade the FTSE. 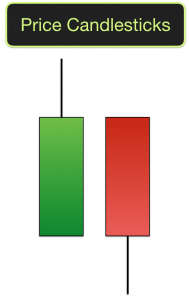 Trading Candlesticks – Are these the secret to understanding price action? Will they help you learn to trade? Which are the most useful Candlesticks to learn? 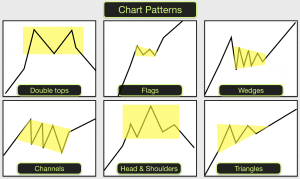 Trading Chart Patterns – Do chart patterns predict future price movement? What are the meanings for the different shapes and how do you trade them? How to use Trendlines and Support & Resistance levels? 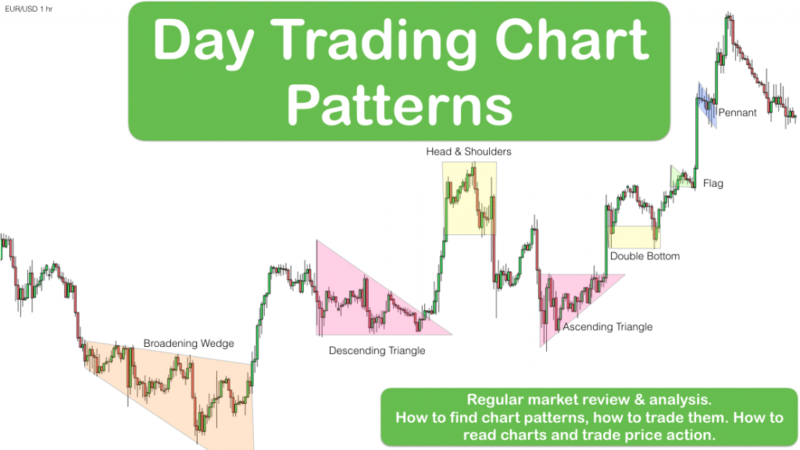 Learn how to trade Flags, Triangles, Double and Triple Tops, Head and Shoulder Tops, Channels, Wedges, Pipes, J Patterns. 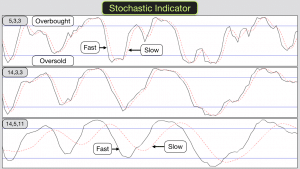 Trading Indicators – Do trading indicators simplify trading or are they lagging and unreliable indicators? What do they mean? How to use them? Which indicator to use? Break through the jargon. You just want to trade, right? Discover your options and which markets may suit your budget and objectives in simple terms (no advice given, no credit accepted). 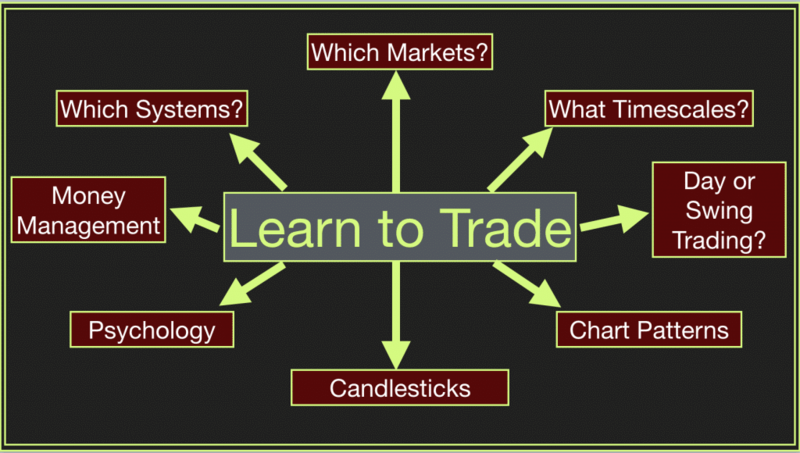 Learn how to access the markets and find markets to trade. The best route to market for you will depend on the type of trading that you want to do, the capital that you have at your disposal, your objectives (capital appreciation and/or income generation) and whereabouts in the world you live. What to trade? Which market? Commodities – Gold, Silver, Oil, Coffee, you name it! What type of product or trading vehicles are available to trade? Futures – Markets derived from stock indices, commodities and Forex. Options – Markets that enable you to trade contracts involving options to buy or sell assets rather than the assets themselves. Single Company Shares – Like Penny Stocks (US), Penny Shares (UK) and Stocks in Play. Spreadbetting – Offers the functionality of trading with the opportunity of using a small initial outlay. IG are the UK largest spread betting broker. Direct Market Access – Direct access to the financial exchanges where stocks and assets are traded. CFDs – Contracts for Difference. A wrapper for trading markets without owning the assets directly. There is one major advantage that a home based trader has over the market. You decide when to enter and when to exit your trades. 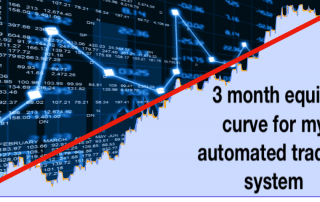 Even if your trading system wins only 50% of the time you can still make money! This is your primary edge over the market. Whatever system you use in your trading, particularly as you learn to trade, make sure that it takes advantage of this edge. 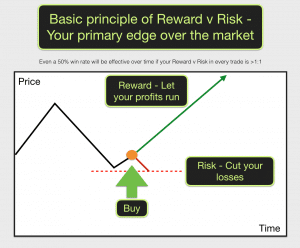 The key to successful trading is to take a small risk with a view to gaining a much larger reward. Learn to trade with a positive traders equation. Being good at trading takes dedication and a little time. 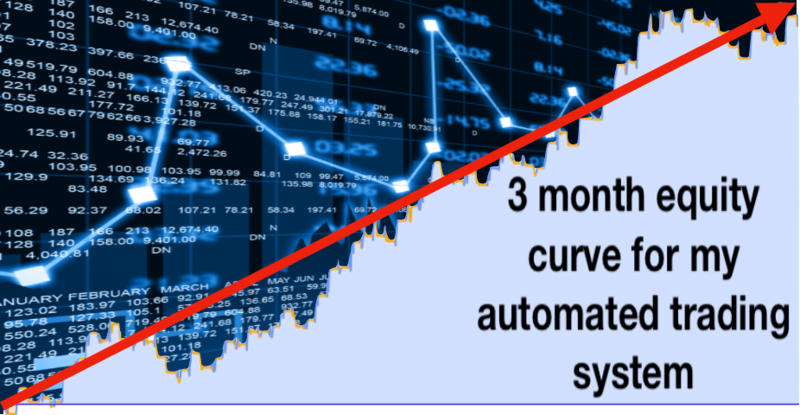 Two things that we must do in order to be successful with our trades is to have a system that gives us an edge over the market. The second thing that we must do is to stick to that system. We can help you with both of these aspects. Know how to judge the market phase and you will know what type of trade suits that particular market. Learn to trade with an arsenal of trading weapons at your disposal. Learn the 10 Psychological Biases – Here is an example of two traders trading the same market and shows how things can go right and wrong depending on your psychology. Trading psychology – In trading psychology plays just an important a part as the systems that traders use. 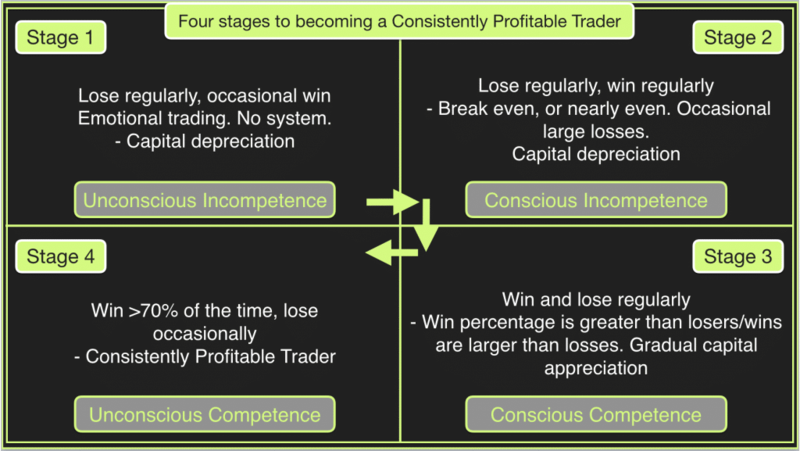 Where are you in your development as a trader? Learn to trade stocks and forex and make your transition to a Consistently Profitable Trader with our Trading Training – online course. In 2010 I quit my job and decided to start living my life on my own terms. I wanted to earn a living doing things that I enjoyed, have time to myself to pursue my hobbies and spend time with my family and friends. Trading certainly fit all of this criteria for me. It was exciting, challenging, I could trade as and when I had time. It had been in my mind to day trade as a home based trader for a while, I had been trading my own funds and managing others money successfully for 20+ years. I had been working in financial markets for over 20 years, managing other people’s money as well as doing my own trading on the side. I was training and coaching teams of financial advisers and also had experience of with fund and wealth management in my last executive role. In 2009/10 I doubled my investments trading the Stockmarket bounce after the financial crisis in 2008. I set about learning the art of shorter term trading, day trading as a professional. For me this didn’t mean doing it full time. I had my business to run and I loved the work that I was doing training and coaching others. For me it meant learning what the professional traders did, how they traded and emulating them when I was at my trading desk. My primary aim was to develop a stream of income and capital gains to enable me to be 100% financially self sufficient and to boost my meagre pension (sound good to you?). With the experience that I now have in trading I define this aim as becoming a Consistently Profitable Trader. The main trouble that I experienced in my learning path was the lack of quality material out there. There seemed so many options, so many different methods of trading and no single resource to explain it all to me. I read dozens of books, took trading courses from so called expert professional day traders, joined live trading webinar rooms and lost money as a result. Each trader seemed to have a different spin on trading, used different methods and none of these methods were consistently profitable for me. Eventually I began to get a grasp on how markets worked, how price moved and which technical indicators would be effective for me. Gradually I began to piece together all of the information that I had gathered over my introductory trading period. Hundreds of hours of study and thousands of tips, methods and charts. Gradually I began to turn losing trading days into winning trading days. Losing periods into winning periods. Until I eventually began to trade profitably consistently. My moto is: if you want to excel at something then you must find out what the best in the business are doing and do those things yourself. Through working as an NLP Master Trainer I had learned the art of modelling. I set about modelling some of the most successful traders in the business. I interviewed them, I worked with them. I eventually discovered that they all did certain things, approached trading mentally in the same way. Plus I learned their trading systems and how they managed their trades. I started trading profitably with one system and then another and then another. I applied what worked for others to my own systems and compiled a set of systems that worked consistently for me. I developed a set of rules for my systems, if-then statements that can be applied to different markets at different times. It is my aim to share all that I learned about Day Trading and Swing Trading with you in a way that makes sense to you and provide a resource that you can come back to again and again as you develop as a trader. Most of the information is free and I hope that you get good use from it. I have also developed some premium (paid) options for those of you interested in becoming a Consistently Profitable Trader. 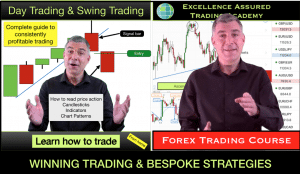 Our Day Trading & Swing Trading training course and Forex Trading Course provide full details of the trading systems that work for me and how you can apply them to suit you as you develop your own trading style. Trading isn’t about finding hidden treasure. There isn’t one system that works every time and for everyone. Copying exactly what others do will lead to losses. Trading is tricky. It takes dedication and hard work to become successful (what profession doesn’t?). However earnings are unlimited in trading, the freedom is exquisite, for those who make it the lifetime rewards are well worth the effort. Learning to trade for me started as a challenge and became a passion. I hope to share some of that passion with you over these web pages.